Did you know that it’s National Macaron Day today? In honor of this celebration of such a critical food group I will be eating macarons but most definitely not baking them. Because I can’t don’t bake. With rather excellent timing, I came home last week to find a large box marked “perishable” on the front porch. Opening it up, I found a most thoughtful thank-you gift from a friend – yes, a pink box of perfectly wrapped macarons. 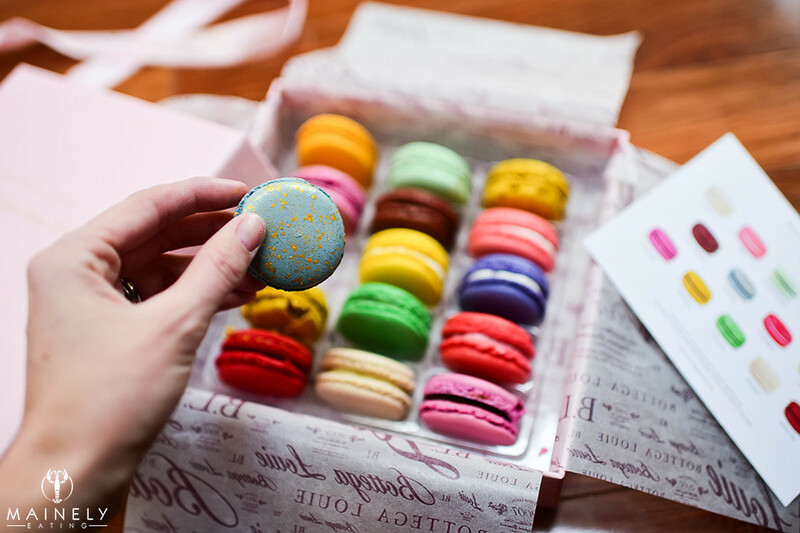 Please understand that I ate ALL the macarons with a pure intention of becoming a macaron expert for this blog post. Well, except for the pistachio macaron because I’m deadly allergic to pistachios. I will admit, for a second, I did wonder if my friend was secretly trying to kill me but I decided to give her the benefit of the doubt and just fed the pistachio macaron to the dogs. They seemed to like it. Favorite flavors were violet cassis, rose and coconut. Macarons are delicious little two-bite light, airy yet slightly chewy meringues sandwiched together with a flavored cream. They can be kept in the fridge for a couple of days but you’d want to let them come to room-temperature (about 10 minutes) before enjoying with a cup of tea or a glass of champagne. 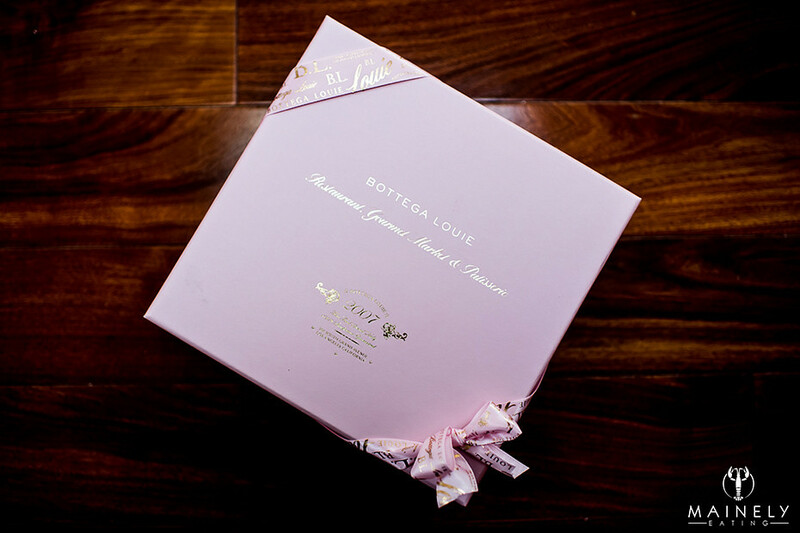 Bottega Louie – based in Los Angeles, LA, I can personally vouch for the deliciousness of these macarons. Your box of macarons will be carefully wrapped in a reusable cooler bag with dry ice. A box of 15 macarons (spring flavors or create your own selection) is $37.50 plus shipping. The packaging is especially beautiful and this feels like a very special gift. Francois Payard – this classic NYC bakery offers a box of 12 macarons (2 each vanilla, pistachio, coffee, dark chocolate, passion fruit, raspberry lychee) for $30 plus shipping. This entry was posted in Uncategorized and tagged best place to order online macarons, macarons, national macaron day by Mainely Eating. Bookmark the permalink. Oh, I would love to find these on my door one day too :). Next time ship me the pistachio ones hahahaha. 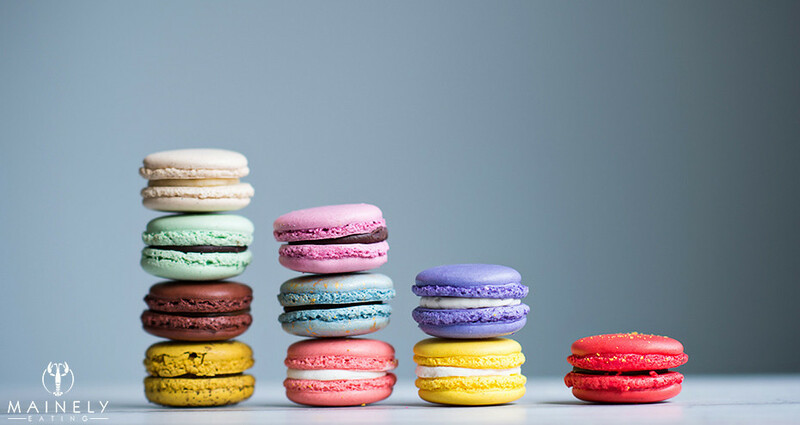 How long did it take you to eat the whole packet… these cute little macron will last probably an hour in my home.